God uses tradition to give people a sense of stability and it provides a sense of consistency.Â But God does reshape tradition in order to go forward into the future.Â Maturity means growing beyond your past.Â No one would say that a child was healthy if it remained exactly the same for years at a time. Tradition is the â€œstepping stoneâ€ of where God is directing ministry to go.Â It should not become a millstone that pulls the ministry down to legalistic depths. Rick Warren also uses the example of a shoe that is outgrown. As the foot grows, if you donâ€™t change into a larger shoe, it then becomes very uncomfortable and may even damage the foot and the development of the rest of the body. Change means stepping out of oneâ€™s comfort zone, doing new things.Â Change can be scary and un-nerving.Â There are several reasons why fear keeps us from seeing Godâ€™s vision. One is that we have failed in the past.Â We should define defeat as making the same mistakes more than once.Â Instead of fearing future failures we should learn from past mistakes. Fear is a sin.Â It is a lack of faith in God to do what He says He will do. Another reason for fear is that one may be concerned that the may mess up or ruin what they already have. So instead of moving forward, they are content to keep things in their current condition. Sometimes the only cure for this fear is the pain that comes from decline and deterioration as the organization crumbles. Eventually one will feel so much discomfort they are willing to change and move forward (if itâ€™s not too late to do so). This is the concept that â€œIt really doesnâ€™t matter what we do, God will bless it.â€Â (James 2:14-17; Luke 14:28-32; Rev. 3:15-18)Â Vision stirs up passion within the leader and it comes across as he tells the story.Â Complacency extinguishes this passion within the leader. So the leader just chooses whatever is in front of him at the moment. There is no thought as to how this lines up with the vision and direction of the church, they simply say yes to every suggestion given. Another form of complacency is apathy. This is where a person says, â€œIt really doesnâ€™t matter what we do; it wonâ€™t work anyway.â€ Perhaps past mistakes or failures have caused this person to be disillusioned and discouraged. But you canâ€™t move forward until this attitude is dealt with. Godâ€™s vision for ministry is long-term in nature.Â It may even outlast the person who it was originally given to. Soon after the completion of Disney World someone said, â€œIsnâ€™t it too bad that Walt Disney didnâ€™t live to see this!â€ Mike Vance, creative director of Disney Studios replied, â€œHe did see it â€“ thatâ€™s why itâ€™s here.â€Â If you limit your decisions and planning to only the immediate present, then you can never move past today. The following are some examples that you can think through as a team of leaders or volunteers in a ministry. Divide up or stay together and work through them and discuss what you find. From the following passages of the Old Testament, what can be learned from these people about how the vision God gave them affected their lives? Abraham in Genesis 12:1-3, 15:1-7; 17:1-15.Â Why did God state and restate three times the vision He gave Abraham?Â What circumstances and plans in Abrahamâ€™s life were affected and changed by Godâ€™s vision on each occasion? Moses in Exodus 3:1-10.Â How much strategic detail did God add to the vision He gave Moses (Ex. 3:11-22; 4:1-17)? Joshua in Joshua 1:1-5. How much detail is included in Godâ€™s vision for Joshua about the direction and goals of Godâ€™s plan to lead Israel into the Promised Land?Â How is the additional direction from the Lord in Joshua 1:6-9 related to the vision in 1:1-5?Â How important to the vision was identifying and marshalling resources (Josh. 1:10-15), information gathering (Josh. 2:1, 22-24), and strategic planning (Josh. 3:1-4; 6:1-7)? Nehemiah in Nehemiah 2:12.Â How did Nehemiah receive a vision form the Lord to rebuild the city of Jerusalem (Neh. 1:3,4; 2:4,5)? David in 1 Samuel 17:34-37, 45-48.Â What attitudes and qualities did Davidâ€™s vision of Godâ€™s plan for Israel inspire in him (1 Sam. 23:15-18)?Â What attitudes should the vision for ministry God gives you and your church inspire you? How did Godâ€™s vision for each of the following prophets cause the prophet to change the way he lived and ministered? Read Proverbs 29:18.Â What does this verse say about why you and your church need Godâ€™s vision for your ministry? Read Paulâ€™s vision for ministry in Acts 9:15; 26:15-23.Â How did the vision God gave Paul affect the way he lived and ministered (2 Cor. 11:23-28)? 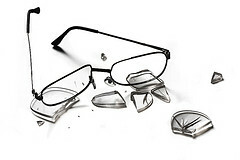 *this is part three of three articles on vision.